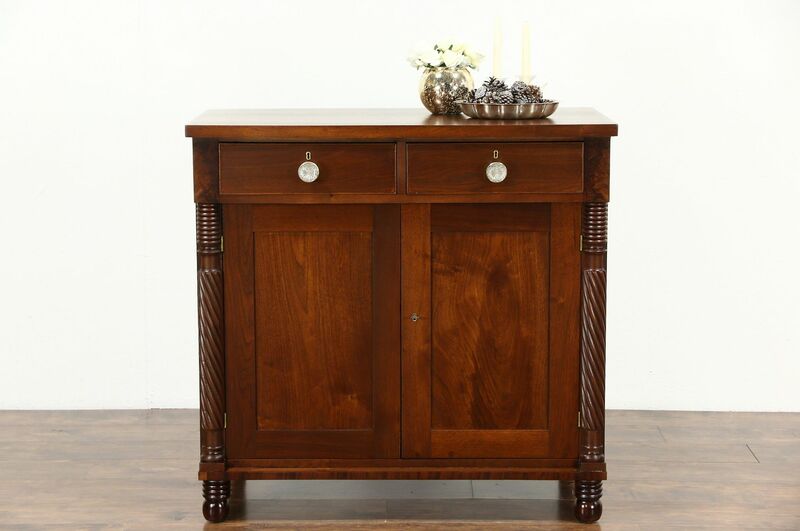 From the Empire period about 1830, a mahogany sideboard or server has spiral columns and matched flame grain panels. Hand crafted on the East Coast, the restored finish is in excellent condition. Drawers have hand cut dovetail joints and old but later brass and glass knobs. Lower doors have chamfered panels and a working lock and key. This antique furniture has warm patina and understated lines. Size is 41 1/2" wide, 22" deep and 40" tall.